More Horror Hair talent appears to be Premiership-bound if Rafa Benitez gets his wicked way with PSV Eindhoven over Portuguese youngster Manuel da Costa. Liverpool is a club with fine Horror Hair pedigree from the bubble perms of Keegan and co. to the peroxide dabblings of David James. 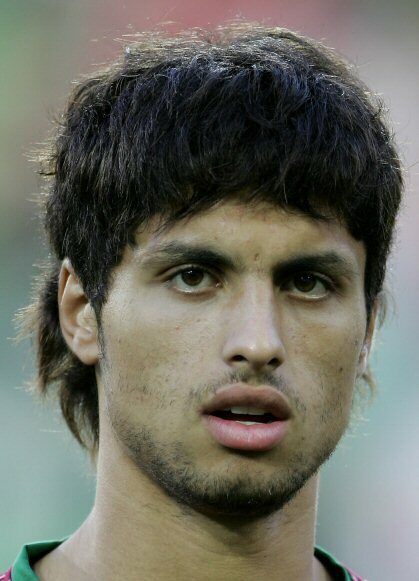 Pretty soon we should be able to add the wiry mullet of 21-year-old da Costa to that list. The boy is supposed to be a winner in the footballing stakes as well as the more important Horror Hair stakes: click here to read Steve Claridge’s scouting report on him (you can almost hear the drool hitting the keyboard as he types!). Well he’s portuguese so that wont help, havent liverpool got enough wingers now?